The Kaya Belek is widely considered to be among some of the best hotels in Belek for an unforgettable golf escape. With direct beach front access, fantastic facilities and recently refurbished guest rooms, this comes as no surprise. 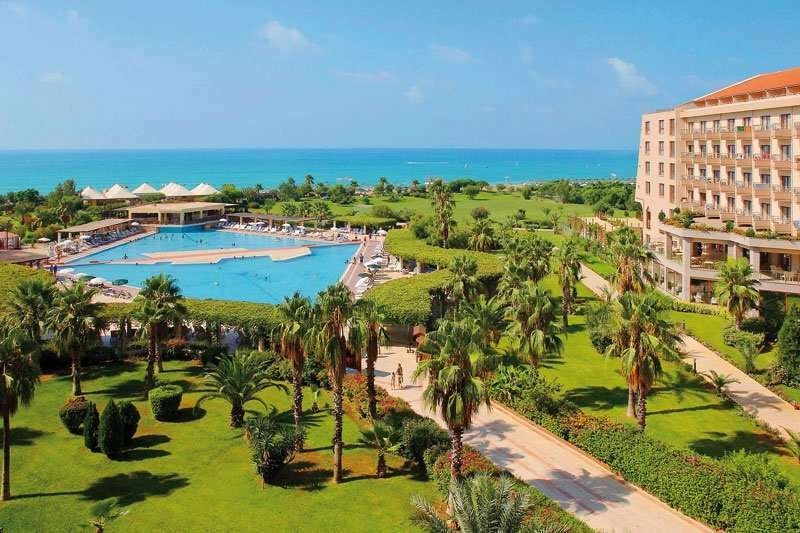 This hotel is perfect for all golfers in Belek due to its ideal location in the heart of Belek, surrounded by a wide selection of fantastic golf courses. Belek is not only best known for its excellent golf courses, it is also home to a fantastic beach which many of the hotels here back onto. The sixteen-kilometre-long beach is the ideal place for guests to enjoy the sun and sea. For a taste of Turkish culture, the town of Side is under an hour away by car. Here, guests can explore the ancient Roman baths and Temple of Apollo. Furthermore, the hotel is just an hour drive away from Antalya Airport, the Kaya Belek is easily accessible for all tourists in the area. 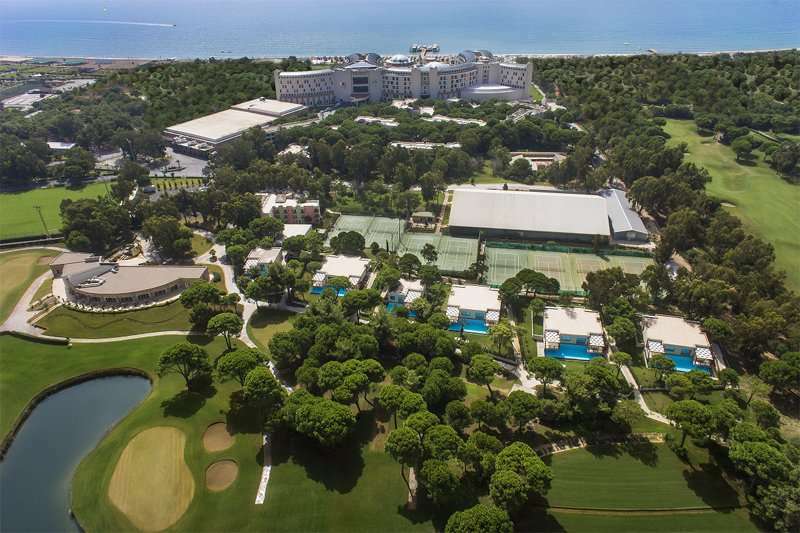 Not only is the Kaya Belek perfect for all those looking to enjoy the sun, it is also an ideal hotel for all golfers looking to make the most out of the fantastic golf courses in Belek. Convenient for golfers, the Kaya Palazzo Golf Club lies adjacent to the Kaya Belek, meaning a memorable round of golf is never far away. The recently refurbished guest rooms at the Kaya Belek include all of the essential amenities to ensure that all guests have an unbeatably comfortable stay. 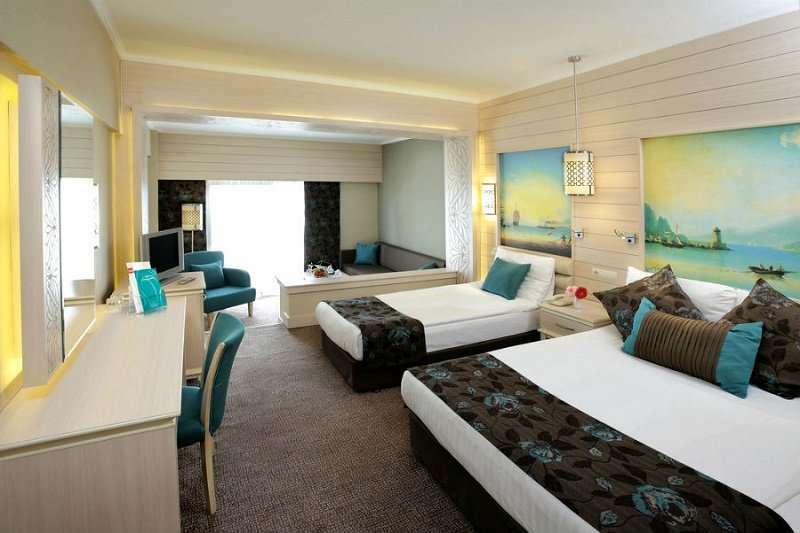 The guest rooms here are typically larger than most of the other luxury hotels in Belek. There is a range of accommodation options for guests to choose from, ranging from a comfortable Twin Room to a spacious Family Room which can sleep up to five guests. All of the rooms come with a spacious balcony, air conditioning, a satellite television and the option of a sea view. After a rigorous round of golf at the Kaya Palazzo Golf Club, guests can make the most out of the fantastic leisure facilities on offer at the Kaya Belek. Guests can spend hours soaking up the sun around the large outdoor pool, lined with parasols and sun beds. There is also a pool bar just next to it so that guests never have to go far for a refreshing drink. This hotel also offers a range of sporting activities including table tennis, darts and beach volleyball. To totally unwind, guests can head to the spa for a relaxing beauty treatment or a session in the sauna. The younger ones will always be kept entertained with a children’s swimming pool and a kids’ club. 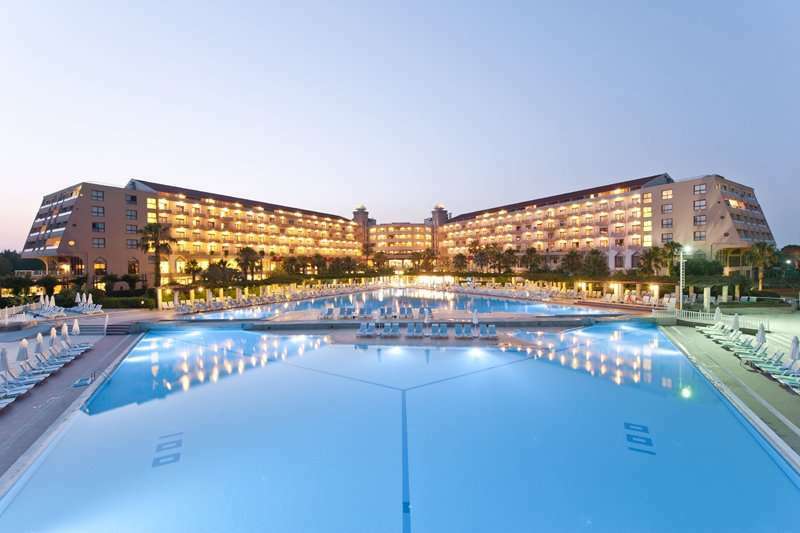 The Kaya Belek offers a fantastic all-inclusive option with great value for money. 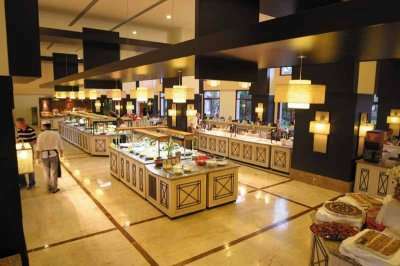 There is a large buffet restaurant as well as three à la carte restaurants serving authentic Turkish, Italian and Asian cuisine. For a well-deserved evening drink, guests can choose from four bars.